Check out these helpful Keyboard Shortcuts – So many of us now primarily use the mouse to select what we need on our computers. But did you know there are a set of keyboard shortcuts that can help you get to where you need to be far quicker. These are what I thought would be useful to share with you all. The windows key on your keyboard can be used to perform a variety of tasks that are far easier than using a mouse to do so. These all work in Windows 8 and 10, some may not be applicable in older versions of windows though. 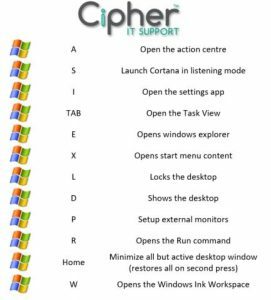 There are also some great shortcuts you can use within the Microsoft Office suite. 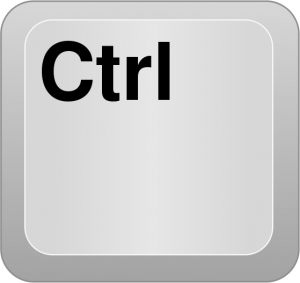 Here you will find the CTRL key is your friend. 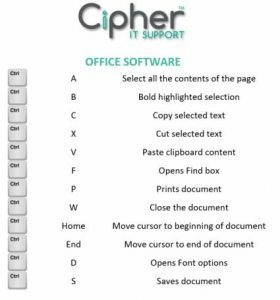 It allows you to save files, print, copy and paste much quicker than using the mouse to do so.